What we have learnt over the years here at All Things Jabu is that if you combine sport with a party you will get an epic day out. 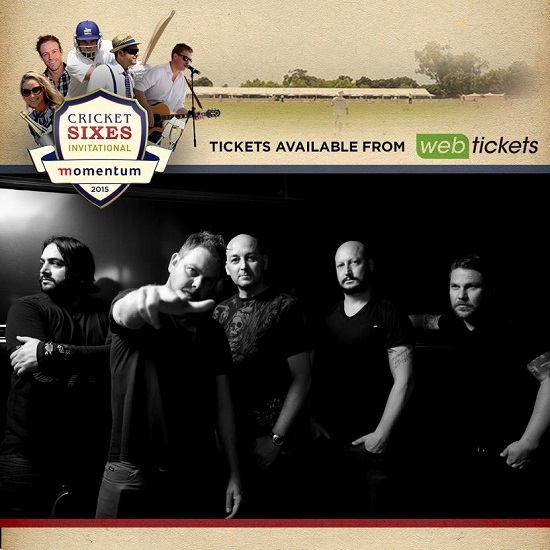 One of the festivals that truly encapsulate this awesomeness is the Momentum Cricket Sixes. The Momentum Cricket Sixes is back bigger and better this year at the Wanderers Sports Club in Johannesburg on Saturday 5th September 2015. Presented by SA Cricket stars Graeme Smith, Mark Boucher and Justin Kemp, The Sixes promises a day of ‘legendary’ cricket and great entertainment, filled with fun and heart, with all proceeds going to the Momentum 2 Excellence bursary programme and the “Rhinos in Safe Hands” initiative under the patronage of Mark Boucher. The action packed tournament will see twelve cricket teams go head-to-head. Consisting of a ten man squad, each team will include a couple of SA Cricket Legends such as Dale Steyn, Graeme Smith, David Miller and Jacques Kallis or international sporting legends such as Darren Gough, Damien Martyn and Kevin Pietersen. On top of the International role call of all who are great in South African cricket, there is also the irrepressible Dan Nicholl as the MC and a host of high quality entertainment including SA Rock royalty Prime Circle, DJ Sox, Gangs of Ballet, Watershed and more. We are giving away 2 x Style Lounge tickets. This is in essence the VIP section on the day with access to the superstars and a front row view of the entertainment line up. The ticket includes two drinks and a meal voucher as well as a signed Momentum Cricket Sixes shirt. You can also comment on our Facebook post of this competition with the player who you are most excited to see! Transport is for your own account and winners must be over 18 years of age. Winners will be announced next Wednesday.